This BRAND NEW TOWNHOME is very well designed!! Bright, open floor plan includes 9 ft ceilings on the main floor & basement. The kitchen is open to dining and living room, perfect for entertaining. Laundry room is located on the upper floor in between your 2 spacious bedrooms for convenience. **This home INCLUDES 2 car attached garage, Central Air Conditioning, Granite Kitchen Counters, upgraded Tahoe Cabinets, brushed nickel lighting package, Laminate wood on the main level, upgraded carpet, and upgraded back splash and tile. ** IDEAL LOCATION - located in the highly reputable CHERRY CREEK SCHOOL DISTRICT!!! 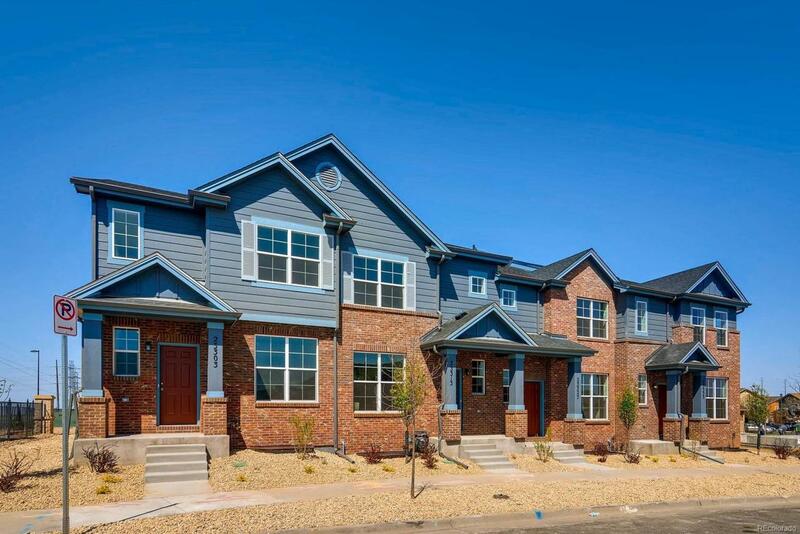 easy commute (Less than 5 minutes to E-470), 2 miles from Southlands Mall where you will find restaurants, shopping, and one of the best movie theaters in town!! 5 miles to Aurora Reservoir Named by Westword as "The Best Park for Fishing" This Quiet neighborhood has it all!